The SOTA Products and the LightWorks SOTA Instruments Inc. Accessories are Included The LightWorks offers the health benefits of light and color using the modern technology of Light Emitting Diodes (LEDs). The light and color can be applied with or without a series of seven beneficial frequencies. The LightWorks Hand Paddle Set has two Hand Paddles: Orange/Yellow and Green/Blue that can be purchased for use with the LightWorks. In addition to the Hand Paddles, the set includes a LightWorks Cord. Hand Paddles may be purchased individually. NASA, the Space Agency in the USA, has researched the benefits of both Red and Near Infrared (NIR) LED light. In addition to the LED light and color, the LightWorks also offers frequency options to help stimulate the body electric. The LightWorks Hand Paddle has 60 Red LEDs on one side. On the other side, there are 57 Near Infrared (NIR) LED lights plus 3 Red ones for a visible indication that the NIR LEDs are on. NIR light is invisible to the human eye as it lies just beyond the range of visible light. The ancient tradition of applying specific colors for health and well-being is an option with the LightWorks. Two additional Hand Paddles are available—one with Orange and Yellow LED light and the other with Green and Blue LED light. Light Emitting Diode (LED) technology emits single wavelengths of light—referred to as monochromatic light—that are beneficial for health. Our body cells rely on light to function. We absorb light through our skin and eyes. Light is a stimulus that creates the natural flow of electricity within. Our electrical system, in turn, produces the energy for our bodies to function. In addition to LED technology, the LightWorks also has options for the LED light to be pulsed with specific frequencies. A French researcher discovered seven different frequencies within which healthy cells and tissues form. The purpose for applying natural cellular frequencies is to help the cells resonate with their natural healthy vibrations. Automatic Option. This setting cycles through all the Modes—Constant plus each of the seven healthy frequencies. This option is timed for 24 minutes. Manual Option. Select one of 8 Modes: The Constant Mode outputs LED light only—without any added frequency. Modes A through G output both LED light and a specific healthy frequency. Each Mode operates for 20 minutes. Consistent or daily use may be needed to experience benefits. 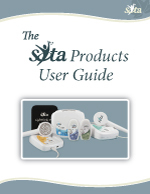 For more detailed instructions, watch the following How-to Video or read The SOTA Products User Guide and the Product Manual. Just starting out? ... See Recommendations Before You Begin. Using more than one Unit? ... You'll find tips to help. Wondering how to Integrate the Units for your Wellness? ... There are recommendations for a Basic Wellness Program and a Focused Wellness Program. Embracing Wellness? ... You'll find tips for an Ongoing Wellness Program. Two Hand Paddles can be purchased as a set for use with the LightWorks - Orange/Yellow and Green/Blue. Extra paddles are available for purchasing individually. Enjoying fresh air and sunlight has been recognized for health benefits over the centuries. An important part of treatment at early health spas was exposure to natural sunlight for a period of time each day. If it was cold, patients would be bundled in blankets to sit in the sun, or dressed warmly to walk about, while they exposed their faces to the sun. The sun bathes the Earth in a broad range of electromagnetic frequencies. We see some of these rays as visible light. All light is not visible. Just beyond each end of the visible color spectrum are colors that are not visible to the naked eye—Ultraviolet light at one end and Infrared light at the other end. The sun nourishes us with light that includes a full spectrum of color through our eyes, our skin and through our foods. In addition, however, we are subjected to artificial lighting, processed or dead foods, poisonous food additives, toxic chemicals in our air and water, off-gassing from furniture and building materials, and harried lifestyles. That’s enough to give us a quick picture why we may lack light or specific colors as nutrients. Live food as in fresh vegetables and fruits are a major source of light. For example, through the process of photosynthesis, plants store the energy of sunlight. Chewing starts the digestive process to release the stored light to nourish us. Native cultures recognized how the color of herbs and flowers had specific healing qualities. We offer three Hand Paddles, featuring LED lights for use with the LightWorks. Each Hand Paddle features two colors—Red/Near Infrared, Orange/Yellow and Blue/Green. Color has been used for health for centuries. Each color is known for specific properties and benefits. Nature provides light and specific colors for our health in the form of food—vegetables, fruits and protein foods—and herbs. The colors of the clothes we choose as well as our home décor also influence us. For example, blue is known to be calming, relaxing and a good color to stimulate communication. A room with predominantly blue colors will create calm. Red, on the other hand, is known to be vitalizing and a good color to increase excitement or emotions. This means a room with predominantly red colors will be stimulating. In addition to a long history of use, Red as applied through LED light, has been recently researched for benefits to human life. Red is considered a hot or stimulating color. In nature, the element hydrogen is Red. Stimulating, forceful and vigorous. Red is the color of power and vitality with a cheering effect. Traditionally, Red is thought to be related to nutritional metabolism, blood, liver and skin. The benefits of the use of Near Infrared (NIR) LED light caught public attention with NASA experiments using NIR LED light for plant growth in space. This research was expanded to apply NIR LED light to benefit human health. NIR light is not strictly defined as a color as it is not visible to the human eye. Three of the LEDs on this side of the Hand Paddle are Red to give a visible indication that the NIR LED lights are working. Traditionally, NIR light is thought to be related to the eyes (from the side of the head), muscles, nerves, immune function and skin. To understand the use of frequencies for well-being, general health and relaxation, it is first necessary to recognize that everything, absolutely everything, is vibrating … even seemingly solid materials are made up of atoms that are vibrating. Our bodies are composed of cells and surrounding material that is constantly vibrating. Frequency is used to explain the different rates at which objects and cells vibrate. The speed of vibration is measured by the number of cycles an object vibrates in one second. Cycles per second are expressed as Hertz (Hz). Vibration is the language of Nature. Animals and plants are usually more sensitive to vibrations than we humans. Sensitivity to vibrations enables birds to navigate and migrate with incredible accuracy. Insects are attracted to the vibration of plants. For example, when the immune systems of plants are weakened from lack of nutrients and too many toxins in soils, damaging insects are attracted to destroy the plants. Vibration produces both sound and light. Light is produced by higher frequencies or more rapid vibrations than sounds. In addition to light that we can see, there is light below and above the visual spectrum. Light that we see ranges from 4x1014 to 7.12x1014 Hz. These frequencies are in the GigaHertz range. To simplify, rather than express such high numbers as Hertz, light is usually measured by wavelength or nanometers. This diagram shows how the wavelength at the Red end of the light spectrum is longer than wavelengths at the Violet end. The higher the frequency the shorter the wavelength—Red light vibrates more slowly than Violet light. Sound is produced by slower frequencies than light. It is easier to express the electromagnetic frequencies of sound using Hertz. In addition to audible sound, there is infrasound that is below the hearing threshold and ultrasound that is above the human hearing spectrum. Sound that we hear ranges from 20 Hz to 20,000 Hz. The LightWorks frequencies, although silent, fall within the range of sound frequencies. The LightWorks offers two monochromatic colors or single frequencies of light—Red and Near Infrared LEDs. The unit offers 60 LEDs on each side of the Hand Paddle for a total of 120 LEDs. In addition to a Constant setting to apply LED light only, the LightWorks offers the option to apply each of the seven healthy frequencies through the LED lights. Four additional colors are available as an option. One Hand Paddle offers Orange/Yellow LED light and another offers Green/Blue LED light. The LightWorks can be used with two accessories at the same time - two Hand Paddles or one Hand Paddle and one LightPad or two LightPads. The frequency outputs are Quartz Crystal Controlled for highest accuracy. The built-in digital timer automatically cycles through all 8 settings for a 24 minute session, or individual modes or settings can be chosen for 20 minute sessions. The unit has the option, with the addition of a universal adaptor, to operate from a 12 Volt DC source such as an automobile battery or appropriate solar panel. The SOTA LightWorks is covered by a three (3) year warranty. The LightWorks is CE certified. This is a European standard that indicates an electronic unit conforms to essential safety requirements to operate as a household consumer product. The LightWorks is also RoHS Compliant. This is a European standard that restricts the use of 6 hazardous materials, including lead, in electronic and electrical equipment. In the area of an active implanted device such as a pacemaker, etc. As with all electrical products, do not use near water, when driving a car or when operating heavy equipment. Without proper airflow, there is a potential for the LEDs to overheat and cause a burn to the skin. When in use, please ensure there is proper airflow around the head of the paddle. When using heat-producing or heat-sensitive ointments, lotions or medications as a skin burn may occur. If you are on light-sensitive medications, please consult your health care provider prior to using the LightWorks. For an answer to any of the following, click on the question. What tips will help me get the most benefit from my LightWorks? Is this the same as Ultraviolet light? How deep does the LED light penetrate? Will LED light damage my skin? Does wearing lotion keep the light from penetrating my skin? Is it okay to use the LightWorks on animals? Where is the LightWorks manufactured? Do you have any testimonials about the benefits of using the SOTA units? Can the SOTA Products be used together? Are the SOTA Products approved or licensed by any governments? Each unit comes with a manual that explains how to use the unit. A selection of translated manuals as well as manuals for Earlier Models are available for download on the Manuals & Videos page. When using the AUTO option, the LightWorks is timed for 3 minutes on each of the 8 Modes for a total of 24 minutes. When using the MANUAL option, all Modes are timed for 20 minutes when selected. The table indicates the frequency output of each Mode. Research indicates that a minimum output of 4 Joules per cm2 is required to be effective. The table below indicates the Joules per cm2 for each Hand Paddle. In Manual Option, Modes A - G and Constant Mode is per 20 minutes. In Automatic Option, output is per 24 minutes (3 minutes in each Mode). 12 Volts DC @ 1.5 Amps, Tip or Center Positive. With an additional attachment, the LightWorks can also be operated from a 12 Volt DC automobile battery or an appropriate Solar Panel. Purchase a Universal Power Cord with Tip or Center Positive from an electronic store for this purpose. Red LEDs: Features 60 high-intensity Red LED lights with a wavelength of 660 nanometers (nm) (+/- 10 nm) and a light output of approximately 718 milliwatts (mW)*. Near Infrared LEDs: Features 57 high-intensity Near Infrared invisible LED lights with a wavelength of 850 nanometers (nm) (+/- 10 nm) plus 3 visible Red LED lights with a light output of approximately 455 milliwatts (mW)*. Frequency Tolerance: +/- 1 Hz. * Light Output measured using a Newport Optical 1830-C Light Meter. If you experience a problem with the LightWorks, please check our Troubleshooting Guide. Most problems can be cleared using this Guide. The manufacturing of the SOTA Products is a global collaboration. The following countries participate in the making of the LightWorks (listed in alphabetical order): Canada, China, Hong Kong, Malaysia, South Korea and Taiwan. Our units say Made in China because China is the last step in the assembly of the units. The LightWorks is covered by a three (3) year parts and labor warranty on all internally mounted components. There are two comparisons that are generally made when comparing the LightWorks unit to other light devices on the market. The first comparison is the output – stated as milliwatts or in some cases millicandella. The second comparison is to compare LED light to Laser light. When comparing outputs, there is much confusion surrounding the correct way to measure the output of LED light units. Some manufacturers of LED light units are erroneously describing the light output of their units. There are three ways to describe LED lights—only one of the ways actually describes the light output or health value.